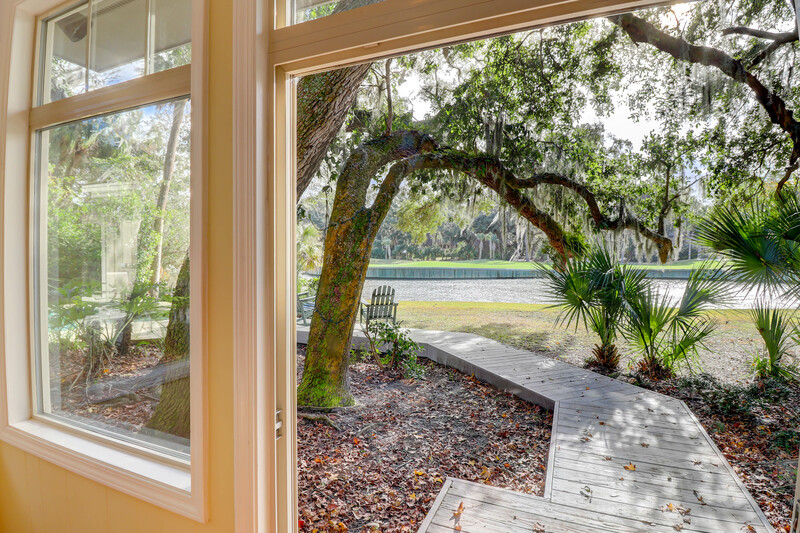 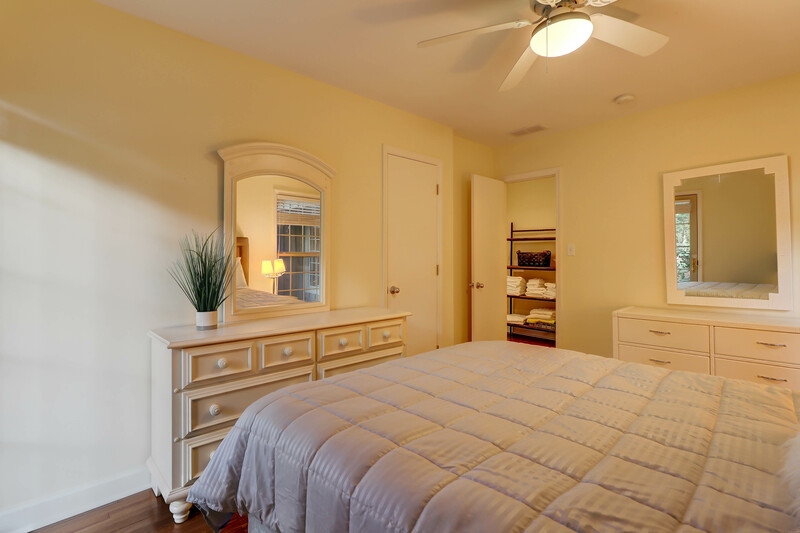 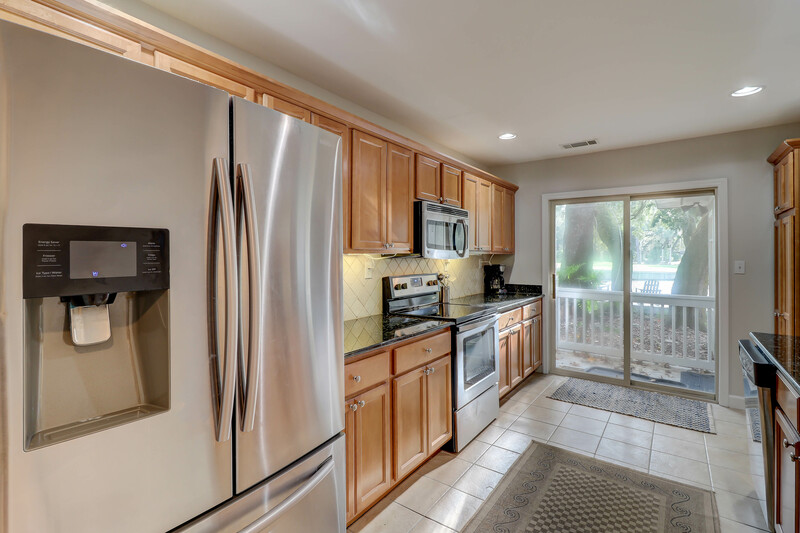 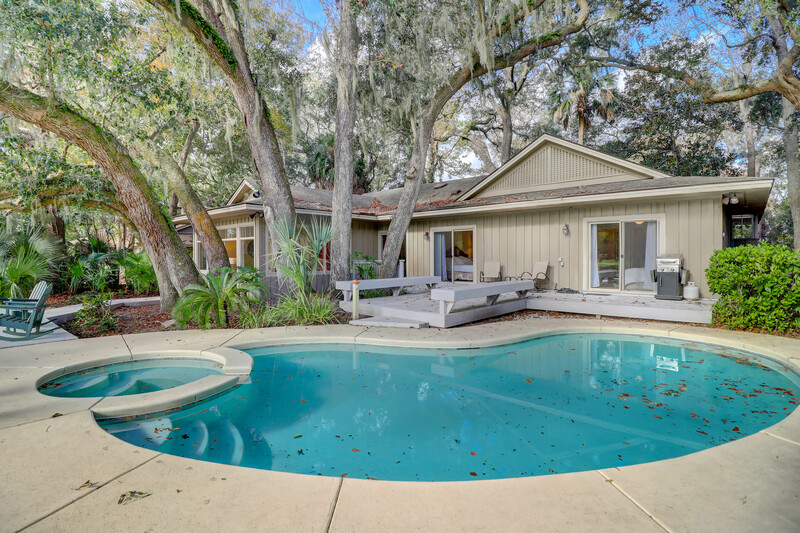 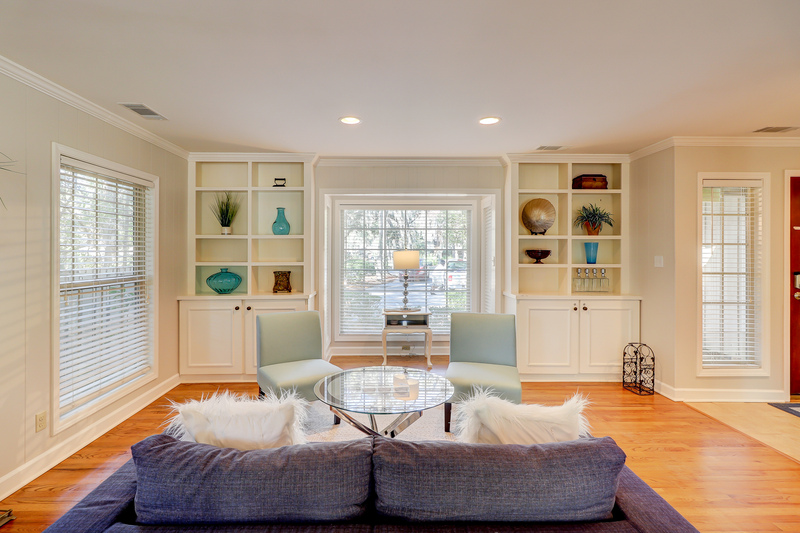 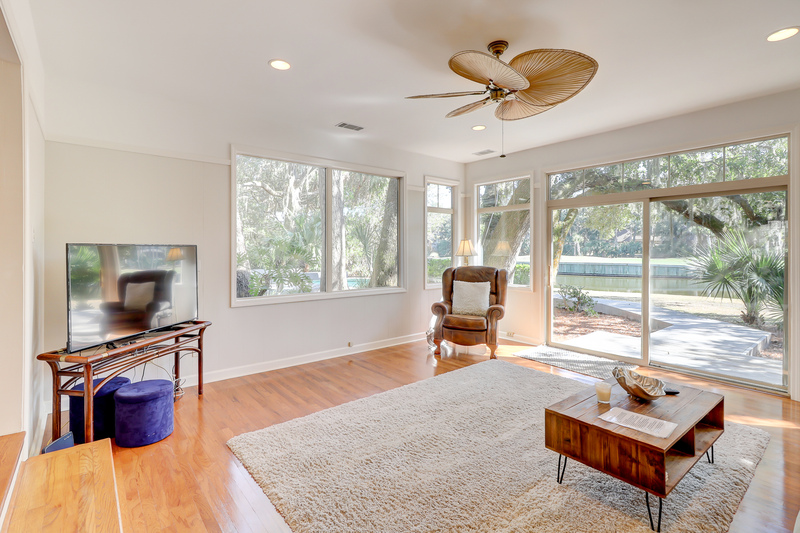 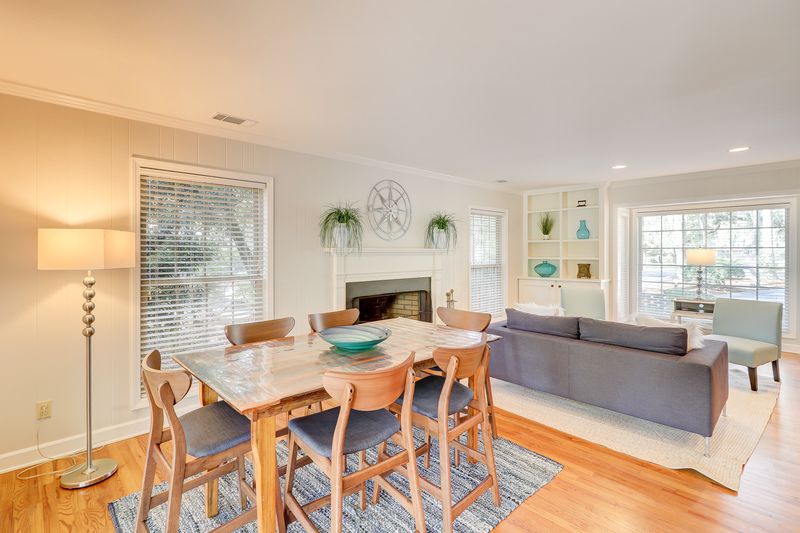 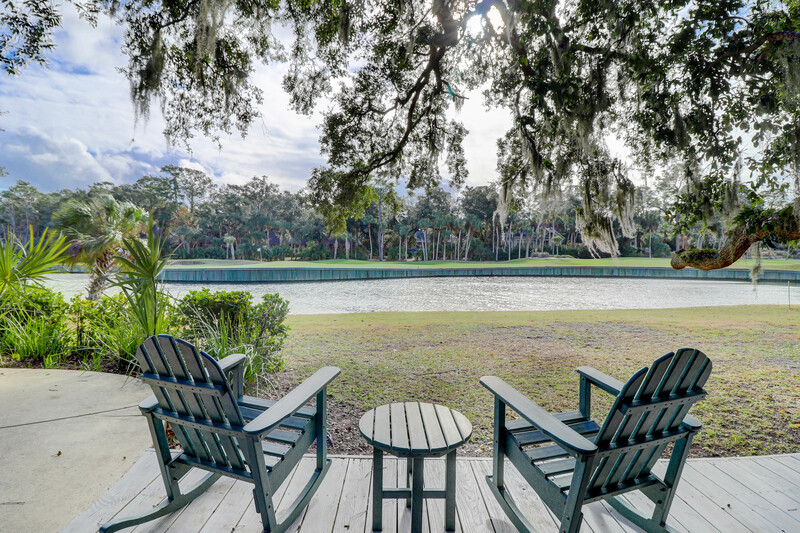 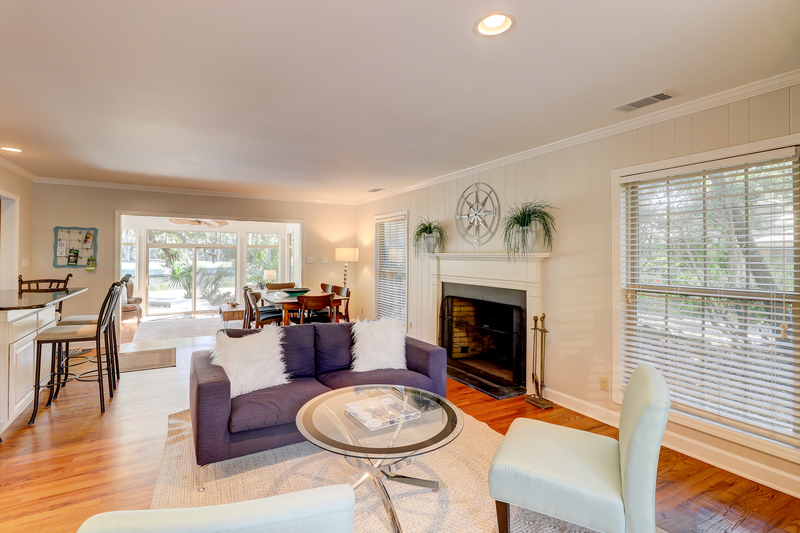 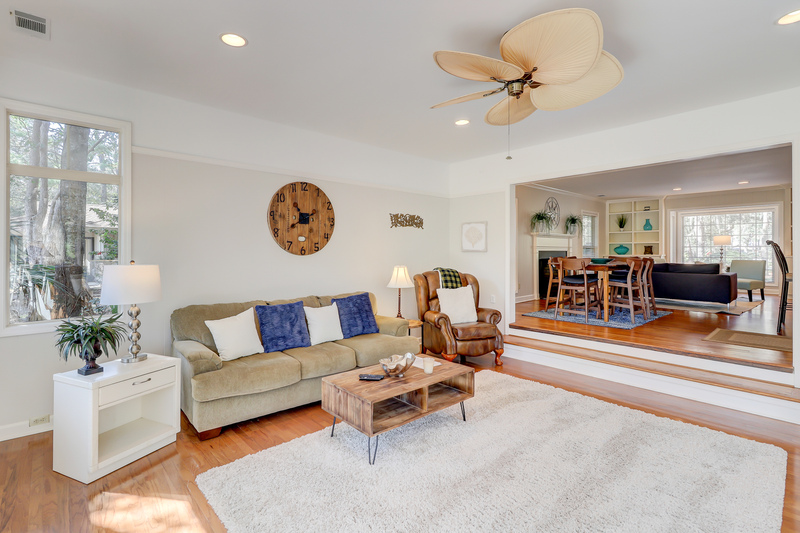 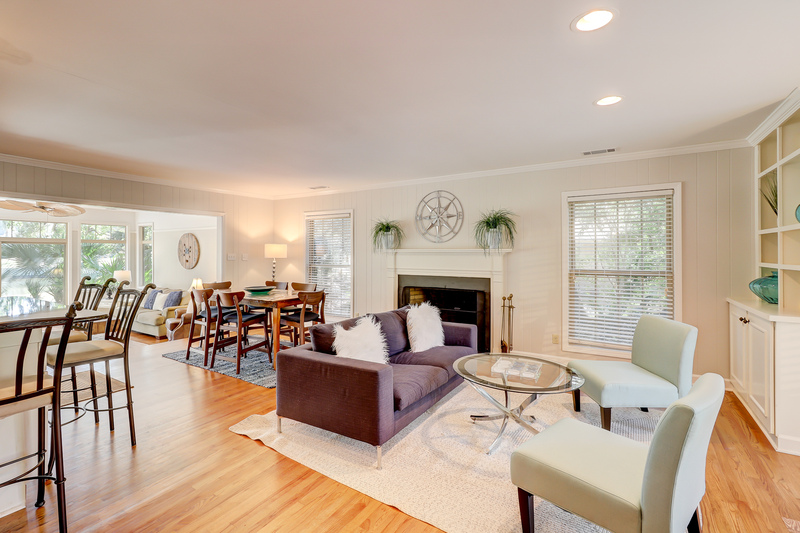 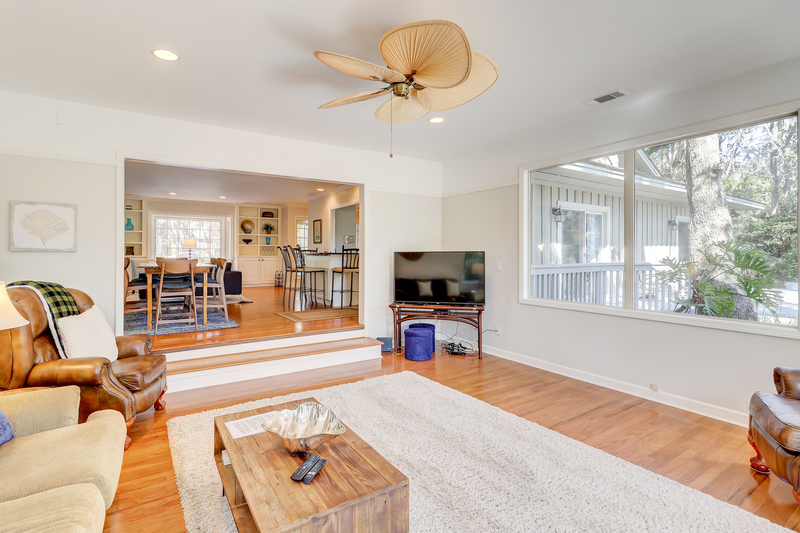 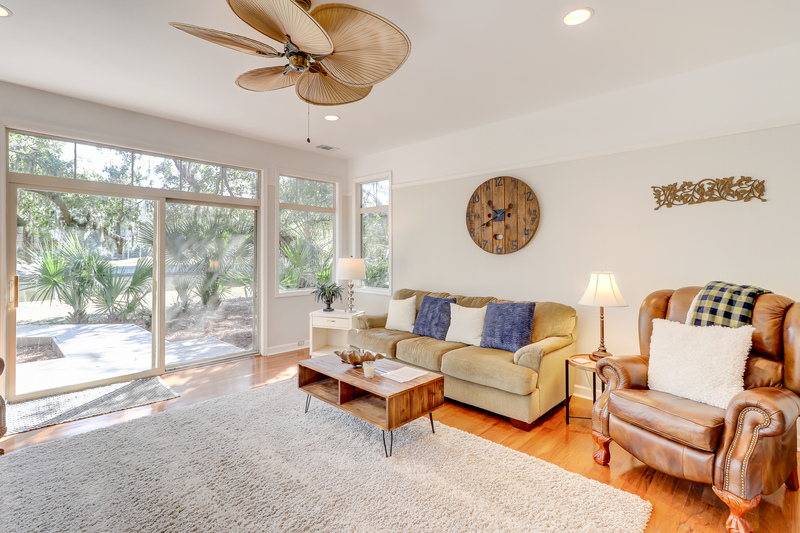 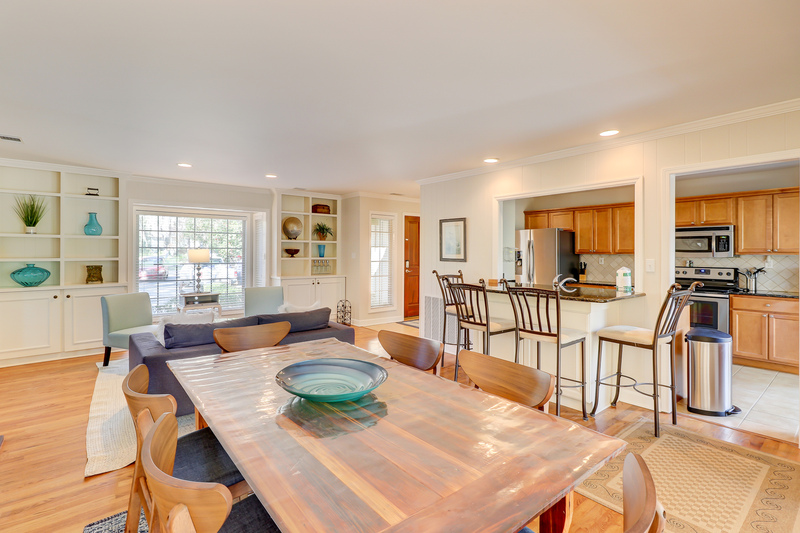 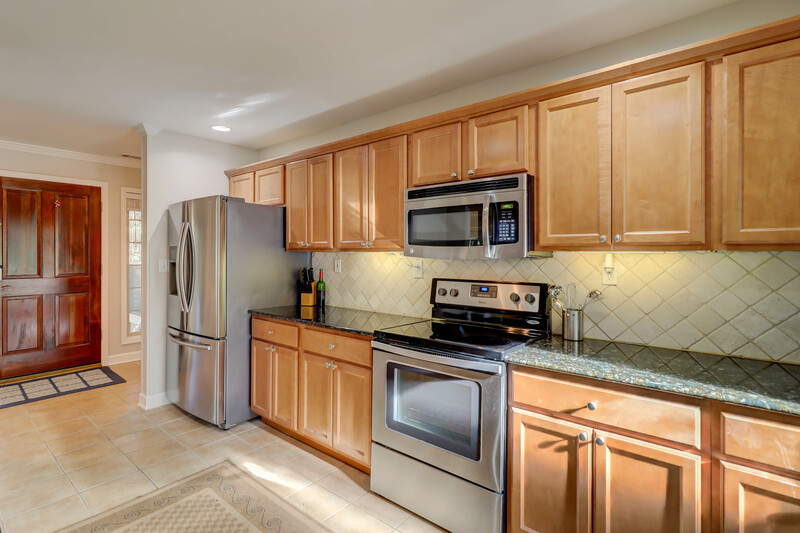 The Fours Home is a beautifully renovated Hilton Head vacation rental four rows from the beach. 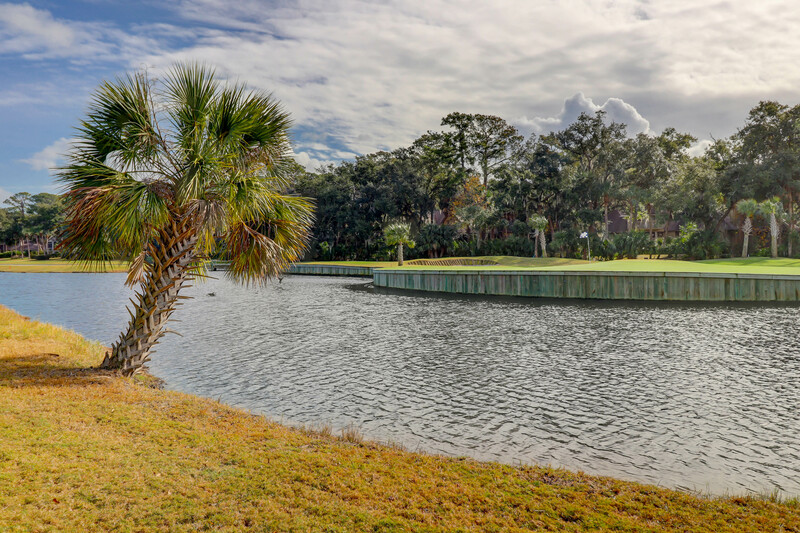 Enjoy stunning lagoon and golf course views that can be enjoyed from the living room, kitchen and two master suites. 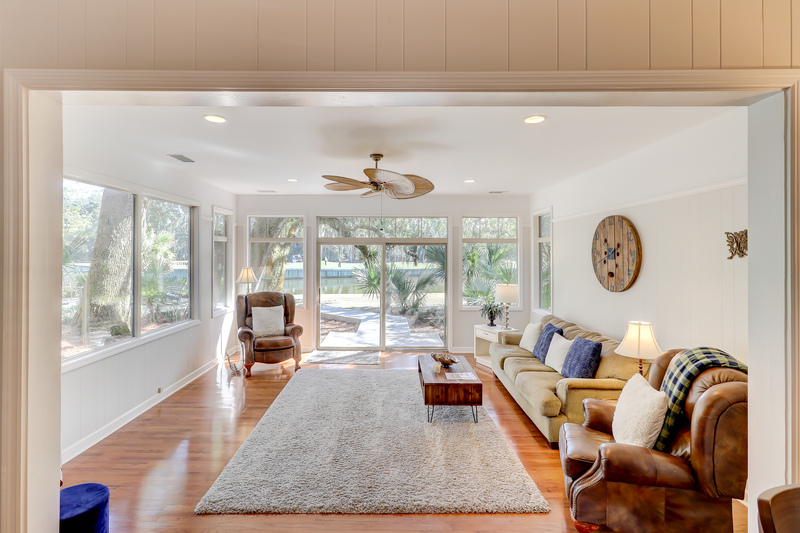 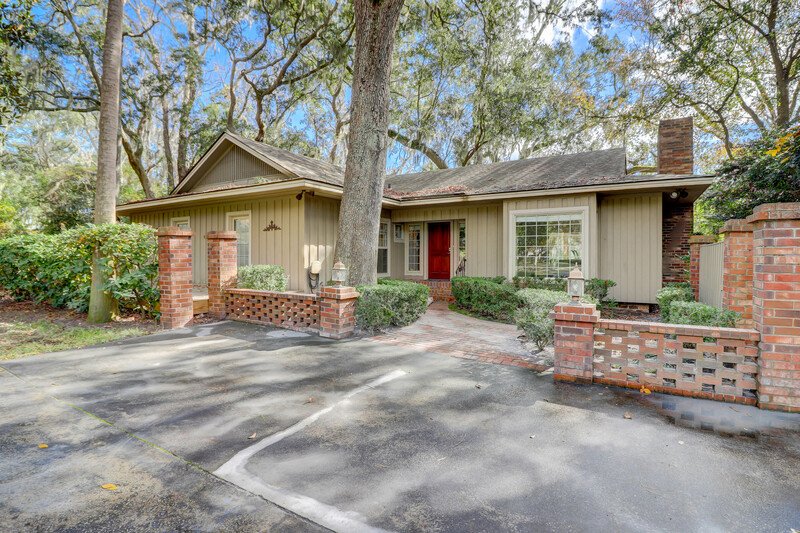 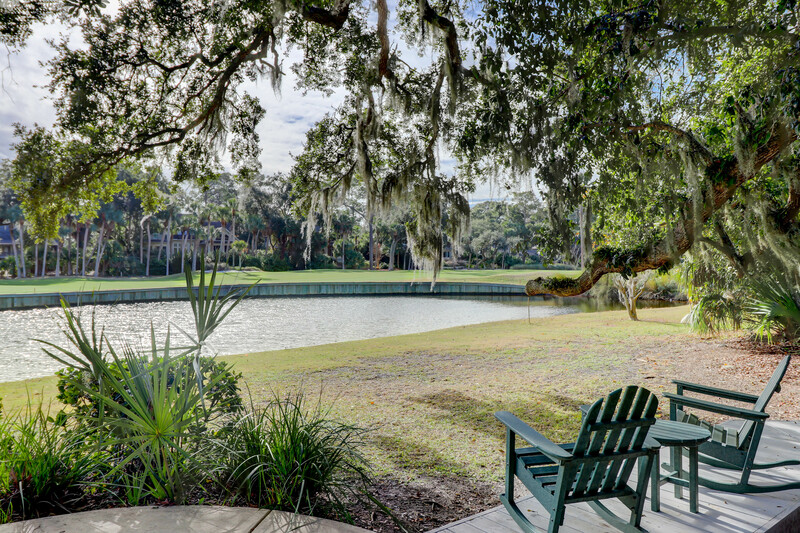 Located on the 17th hole of the Ocean's Course in Sea Pines, this home is also walking distance to the Sea Pines Beach Club. 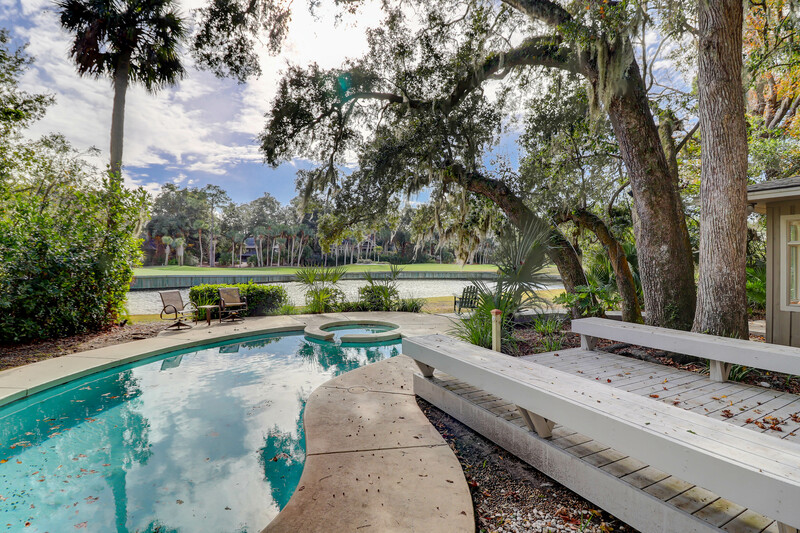 The pool and spa area will provide hours of fun with a large deck area, plenty of seating and a gas grill. 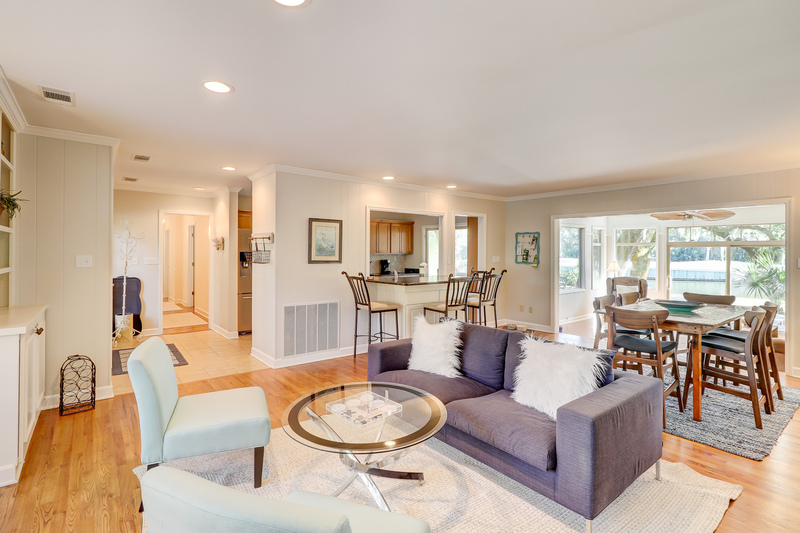 Dogs up to 40 pounds welcome with fee! 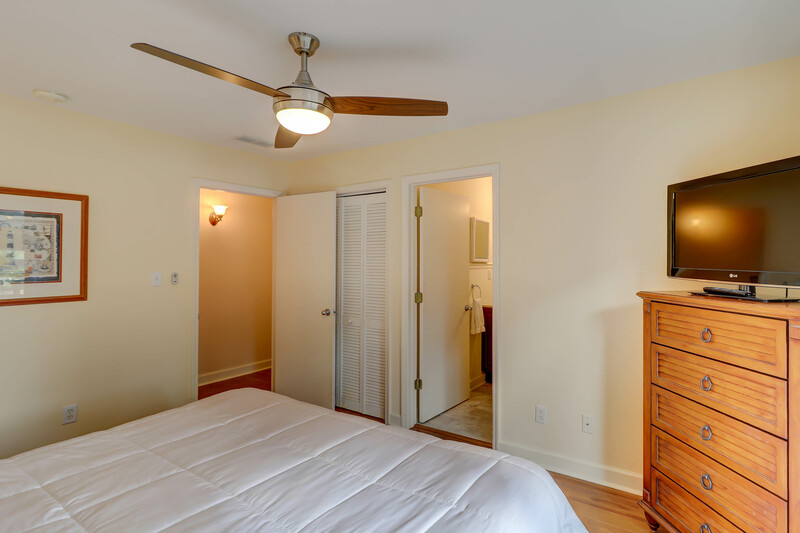 To the left of the front door and down the hall, you'll find the four guest rooms. 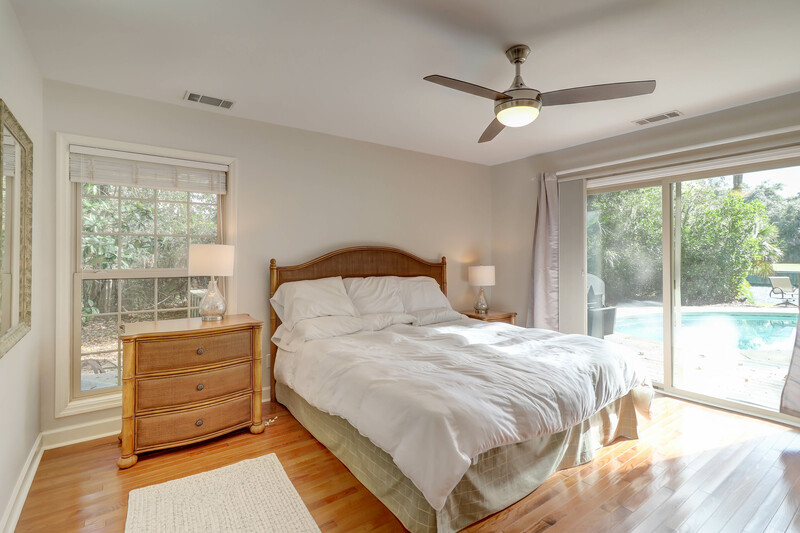 The first master bedroom features a king size bed, flat screen TV, sliding doors leading to a deck attached to the pool area, and a private bathroom. 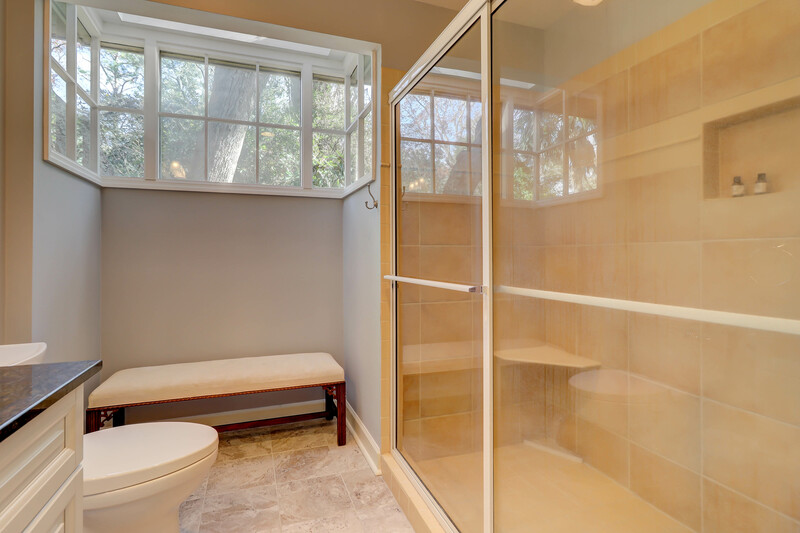 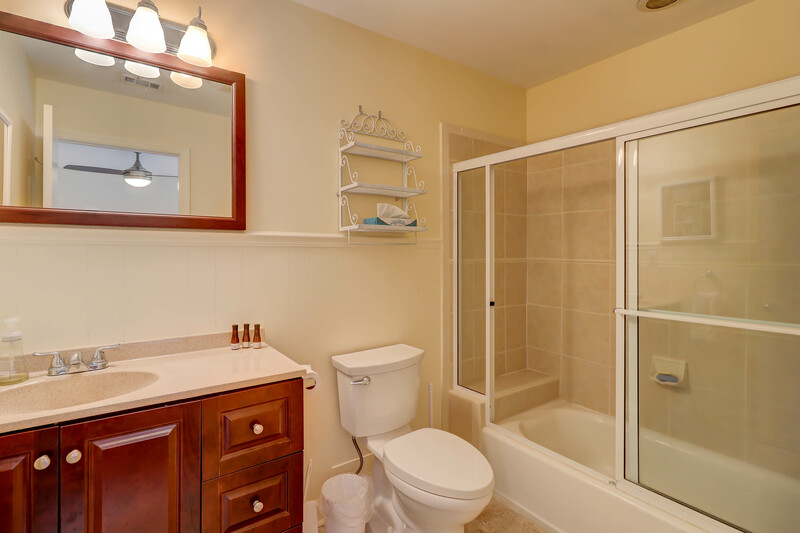 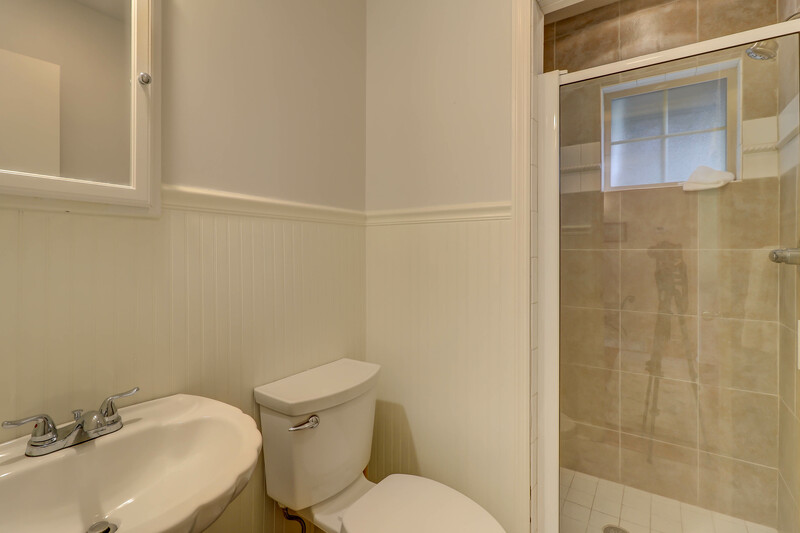 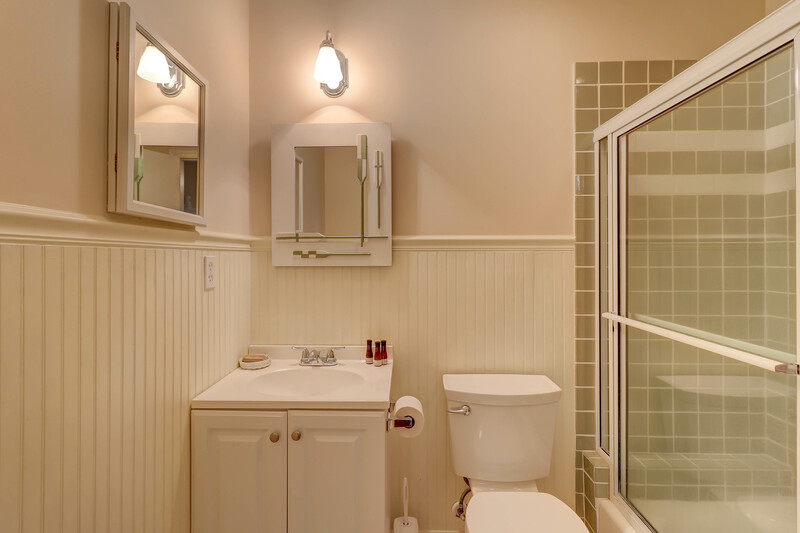 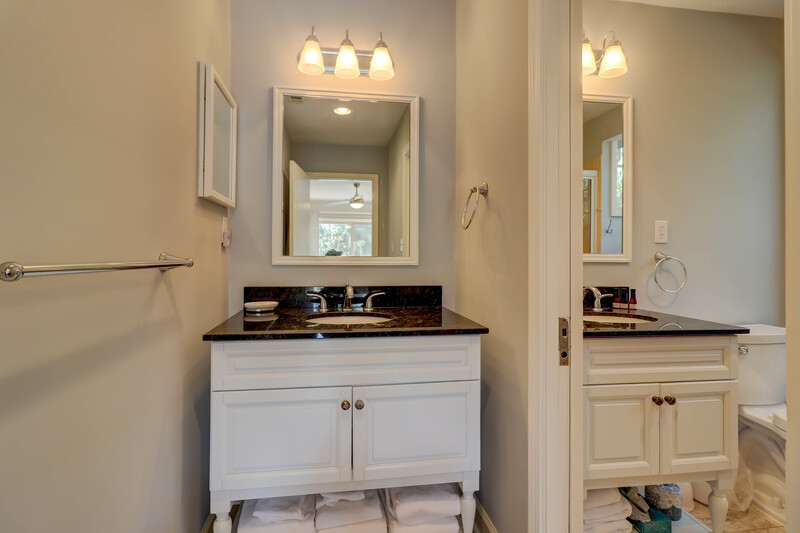 The bathroom features a tub/shower combination and new vanity. 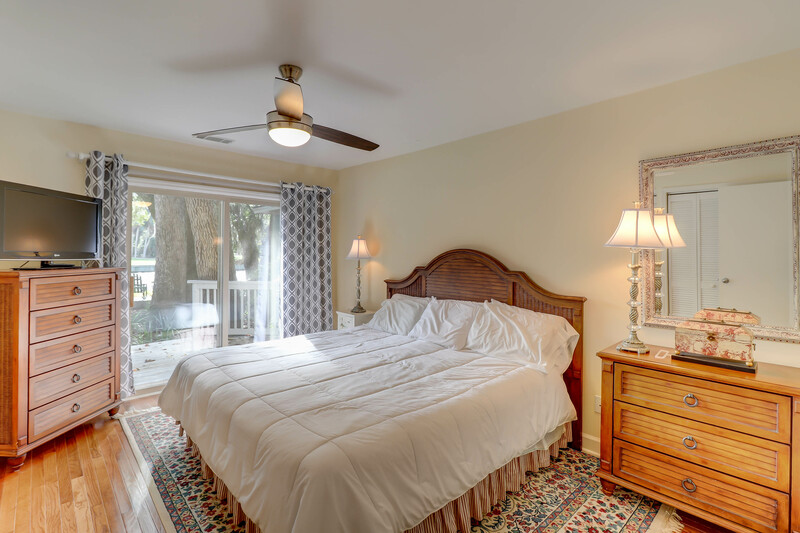 The second master bedroom also features a king bed, flat screen TV, sliding doors leading to the pool area and a private bathroom. 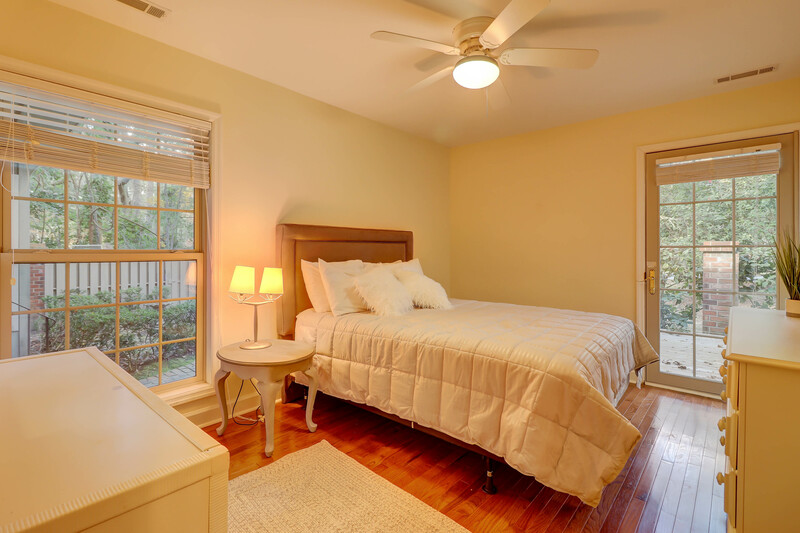 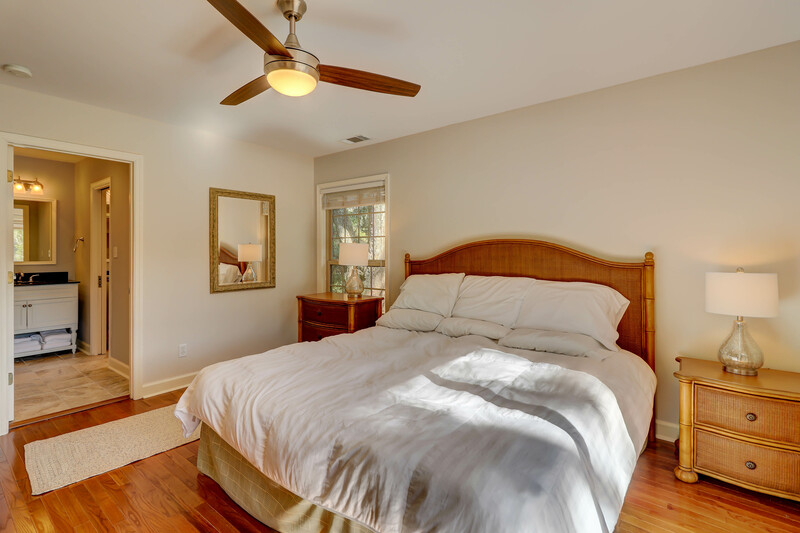 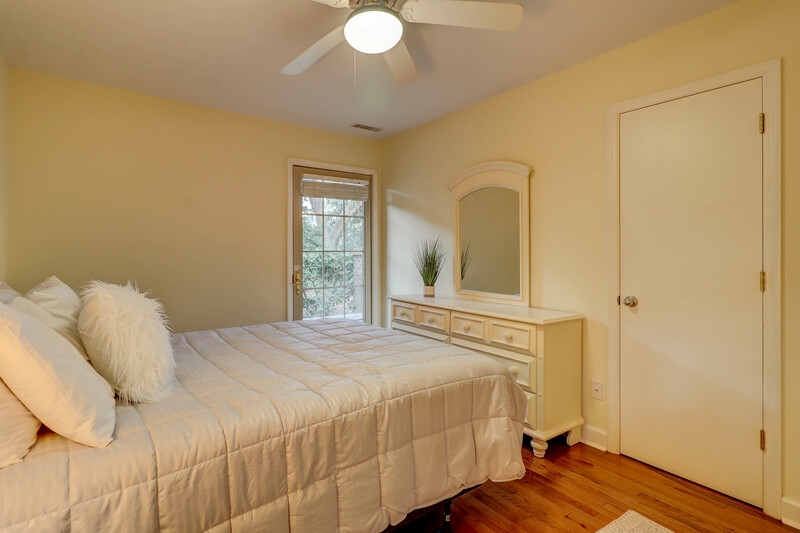 The third bedroom is features a queen bed and has access to a hall bathroom with a tiled walk-in shower. 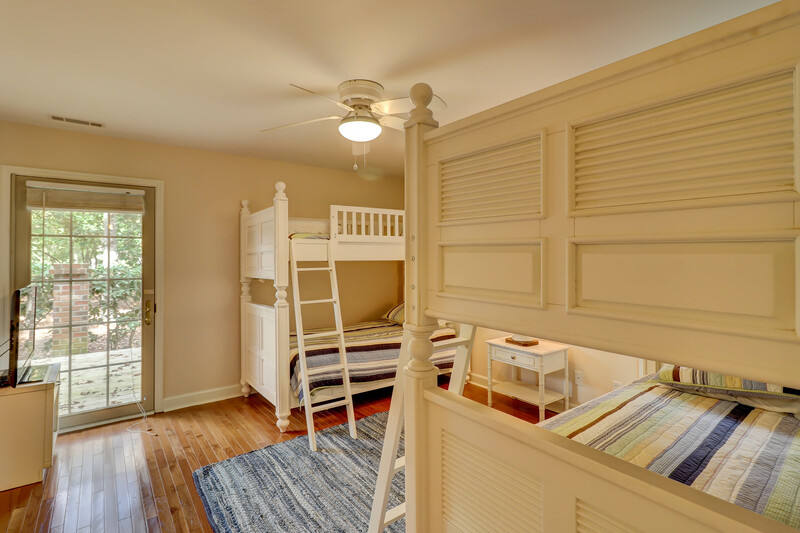 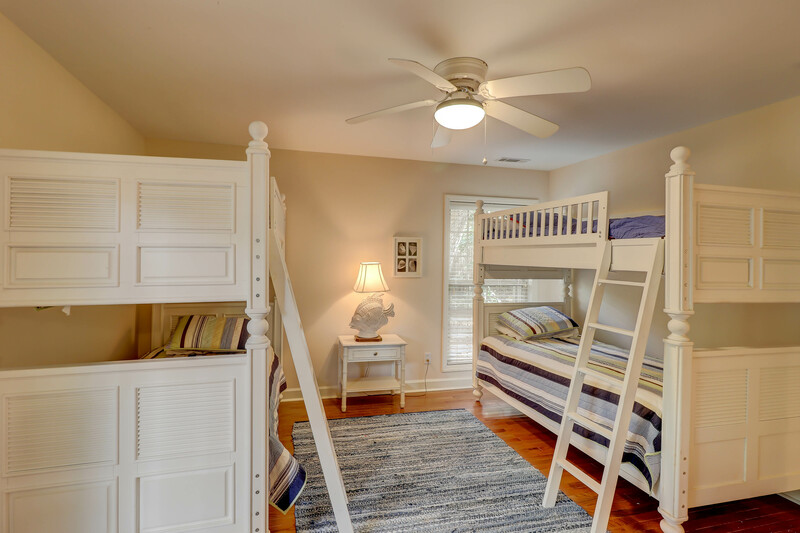 The fourth bedroom features two sets of bunk beds and has a private bathroom with a tub/shower combination.